Please note this is a Player Fit Jersey and a much closer fit than the Pro Jersey - please make sure to reference the size chart for your measurements. Our 2019 Home Jersey is more than just a great training jersey. It’s a symbol of your support for NSW in the State of Origin and belongs in every genuine Blues supporter’s collection. Show your support for the mighty Blues in our Pro Jersey from Canterbury’s 2019 NSW State of Origin On Field collection. As well as a true collectors item, this jersey is a high quality training garment featuring our patented VapoDri moisture wicking technology that keeps you cooler and drier for longer. 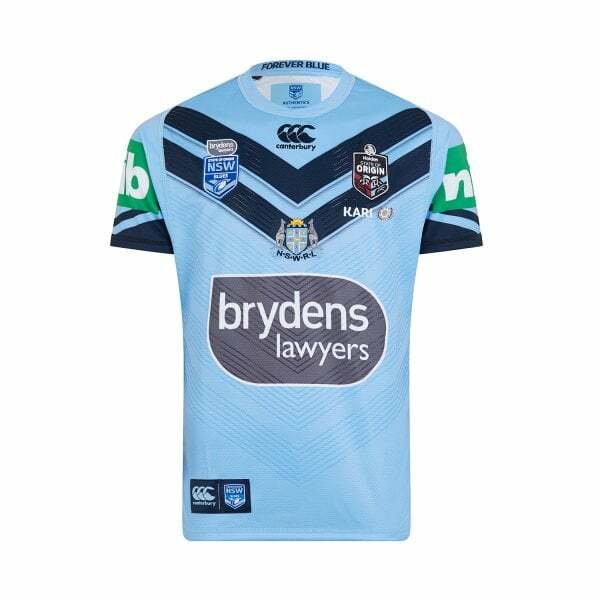 Made from 100% Polyester and featuring team and sponsor logos and a replicated on-field 2019 design, it shows everyone you’re a diehard NSW supporter. An Origin classic, it belongs in every Blues supporters wardrobe, whether you train in it, go to the game in it or just hang it on your wall and admire it.